Pollution Exclusions Hit the Family Farm. Pollution Exclusions Hit the Family Farm. 2015 will mark the year that brought the need for environmental insurance squarely into the customer base of the average independent insurance agent. On Dec. 30, 2014 in Wilson Mutual v. Falk, the Wisconsin Supreme Court determined that the standard ISO pollution exclusion excluded losses caused by bacteria seeping into wells after a farmer spread manure on a field. It’s a milestone decision that highlights at the state Supreme Court level just how far pollution exclusions can reach beyond landfills and industrial sites—especially important for independent insurance agents, who insure a lot of farms. And agents can expect more states to follow the precedent—in fact, California, Indiana and Minnesota already have case law affirming that bacteria is an excluded pollutant in insurance policies sold in those states. “We hold that the pollution exclusion clause in Wilson Mutual’s General Farm Coverage Liability policy issued to the Falks unambiguously excludes coverage for well contamination caused by the seepage of cow manure. First, we conclude that cow manure falls unambiguously within the policy’s definition of ‘pollutants’ when it enters a well. 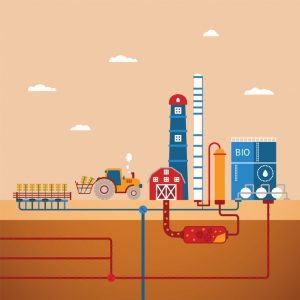 Based on recent agricultural trade press in Wisconsin, manure qualifying as a pollutant in an insurance policy came as a surprise to farmers, even though insurance policies have involved pollution exclusions for decades. The ruling in the Wilson Mutual case overturned the ruling of the appellate court which had overturned the ruling of the trial court—all centering on a simple question: Is manure a pollutant or not? A year earlier, Wisconsin law established that manure applied to a field was a product and not a “pollutant” under the farm liability insurance policy sold by Wilson Mutual. But ultimately, it was the bacteria in the manure that caused the damages to the plaintiffs and triggered the pollution exclusion.